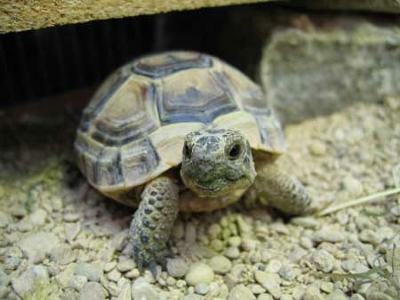 hey, i only got my tortoise at christmas and he went sraight into hibernating. He has just woke up and it was my first time feeding him and when i put the food in his bowl he kept going to eat it but never got down enough to reach it so i picked it up and he eat it out of my hand. So i was wondering if he can`t see properly or somgthing. And how often should i feed him? So far i have been feeding him every day.